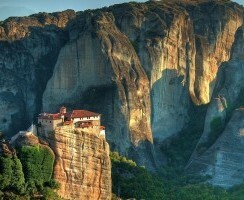 One of the most amazing places in Greece,if not the world, is Meteora. 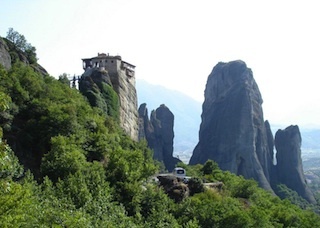 If you have seen pictures of Greece or spend any time looking through travel brochures then you have certainly been impressed by the monasteries perched on top of enormous rocks and have probably wondered how on earth they built them. 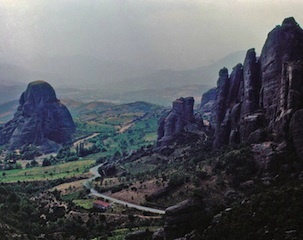 The rocks themselves are impressive, rising from the plains of Thessaly a few miles northwest of Kalambaka. 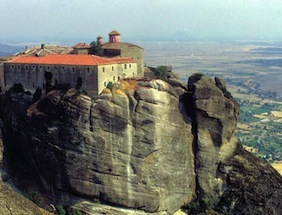 In fact the producers of James Bond found them so impressive that they had Roger Moore (or his stunt double most likely) climb the stone face of one in the movie For Your Eyes Only. 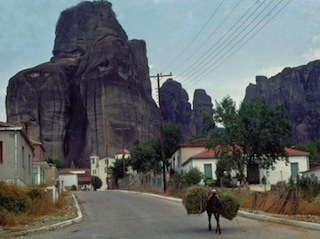 These days the rock faces are climbed by professional and amateurs looking for a challenge and what Paros is to wind-surfers, Meteora is to rock-climbers. 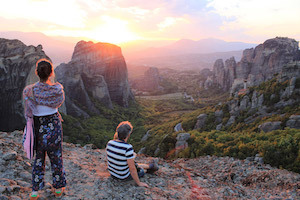 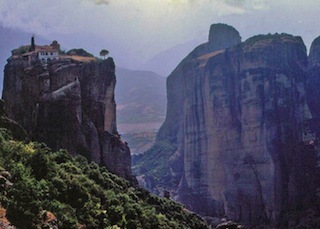 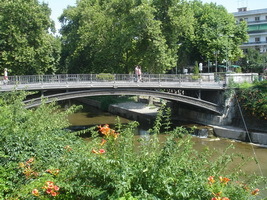 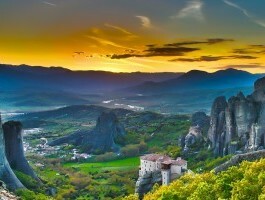 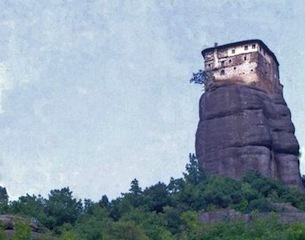 This site should help you in organizing your journey to Meteora. 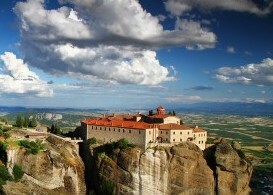 If you have questions you can e-mail me. 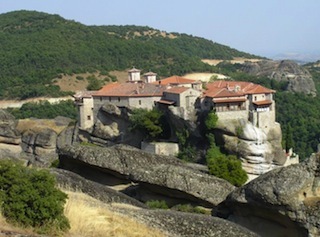 If you want to include Meteora in your Greece itinerary try my Create-an-itinerary form to see what is possible and how much it will cost. 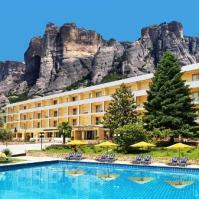 Fantasy Travel's Seniors Winter Special features Meteora and Delphi in a program designed specially for retirees and senior citizens. 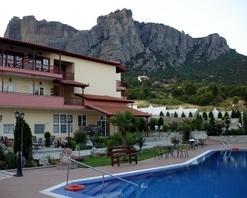 If you have mobility issues or you are that age where you just want to take it easy and enjoy Greece without climbing stairs and mountains this is a good choice for you. 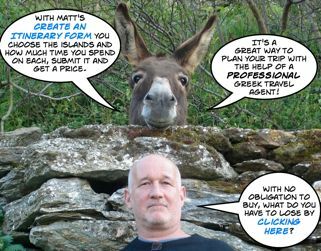 If you enjoy this page please share it with your friends on Facebook and Google+ and whatever other social media you use.